Have you downloaded lots of iTunes U materials on your iPhone but afraid to sync it with your computer thinking it will wipe out all your important data? Well, now you don't need to think about all these things. Download as much as files you want to and seamlessly transfer iTunes U to your computer without even thinking about the loss of a single-file. Designed by iMyFone, TunesMate is a prominent third-party alternative which is exclusively created for Mac and Windows users with iPhones, iPad and iPods. It effectively lets you transfer various type of files like photos, videos, music, and apps between iOS device and computer. Not confining its operation only to transferring the files between devices, TunesMate even helps you to rebuild iTunes library. Talk about its interface, it's super straightforward to use; transferring files with it is as simple as normal drag and drop; that too with a two-way transfer functionality. 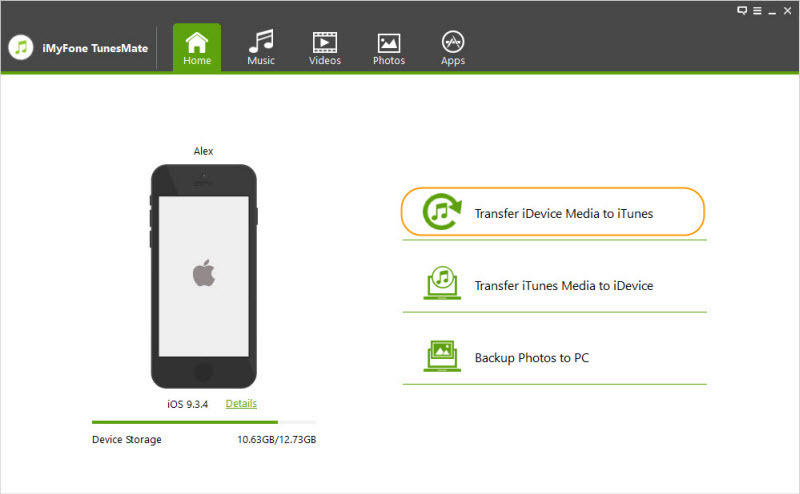 It lets you transfer all your media files from both iPhone to PC/iTunes and PC/iTunes to iPhone. Easily share your iTunes U library with any of your friends and colleagues even if they are using different Apple IDs. Sync seamlessly with a preview to maintain a hold on your data. Witness no chances of data loss, even your smallest files remain immensely secured. Break all the restrictions that Apple imposes on its users. Share your files across devices without even thinking about data deletion, restricted transfer, only purchased file support etc. Launch TunesMate on your computer and connect iPod, iPad, iPhone with a suitable USB cable. Click “Transfer iDevice Media to iTunes”. Click Start button available on the pop-up window to proceed. It will auto-detect media files on your iDevice and display them in a list. By default, all files will be checked. Uncheck the files you don't want to transfer and click Start button to initiate the process. Once transfer gets done, click Complete button available with the pop-up window to finish the process. Straightly, using iTunes is also an easy way to sync your iTunes U materials. Open iTunes; please check you must have the latest version. Connect your iPhone to the computer using the suitable cable. From the iTunes menu, find and click your device. Now on the summary app, proceed to select "Sync with this [device] over Wi-Fi." Click the Apply button available below and disconnect the cable. Select the items you want to sync, then proceed to click Sync. 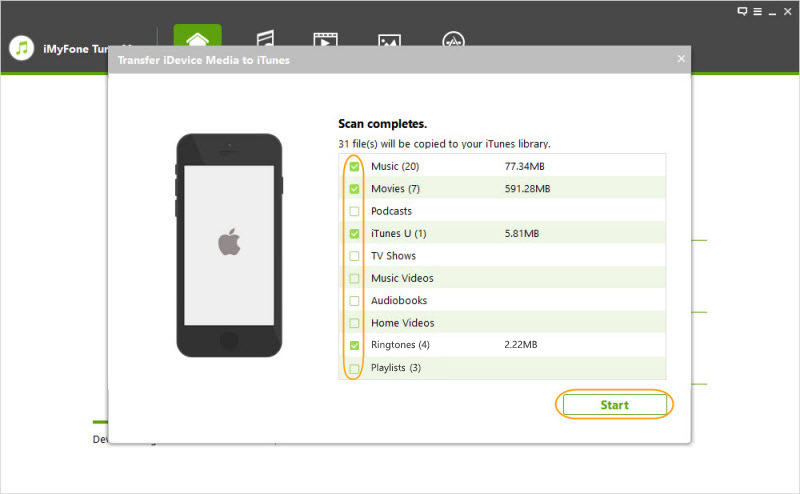 By using above mentioned steps, you will get iTunes successfully synced between your iPhone and computer. Please note, as we had already synced iTunes U with iTunes on the device, iTunes U content will automatically be synced with the computer too. In conclusion, Using iTunes to Sync iTunes U will erase data while syncing. TunesMate will smoothly support you to selectively transfer iTunes U data to your computer speedily with no data loss. So, check out TunesMate and make your iLife hassle free.